Don’t hesitate to look for our brand in order to take advantage of the finest man and van services in Leyton. Trust our knowledge and expertise and have a painless E10 move. We can truly handle it all when it comes to household removals. Our well-prepared helpers will also be equipped with the latest supplies required for the job. All of the removal cardboard boxes are brought by us and you won’t need to worry about it. We utilise professional straps and moving pads. Our job is to make sure that nothing will get damaged as we move it. Along with that we also possess high quality latching and lifting tools needed when we load up and transport heavier objects. Disassembling is also an option and can be made part of the deal. Packing in E15 can be quite the trouble but we are ready to save you from it. Our company can be approached to handle all boxing and packaging duties during business relocation. Our moving boxes are free, sturdy and they will never malfunction. We also apply professional tape and bubble wrap for fragile items. Our movers are fully licensed and can handle specialised goods for the purposes of removing them. While we do make sure to seal everything tightly we still have complete Goods in Transit insurance for all man and van services in Leyton so that we can make sure that you are covered in the unlikely event of an accident. This goes to show you that our London man and van for hire flexibility is one of a kind. We can be of help with the smallest Leyton removal van hire you can think of. Our transit vans are great for single item relocations and Ebay deliveries. Lutons are larger and have hydraulic tail lifts in order to move larger pieces of furniture. Flatbed lorries are for the biggest moving or junk removal projects you might have. We employ thoroughly trained moving experts that have extensive experience with various moving and delivery jobs. As a result, we offer dependable and comprehensive removal services in Layton E10, E15. Our diligent team are fully qualified, insured and friendly. Also, they don’t mind giving free moving tips to our customers so don’t hesitate to ask them anything. They have many skills some of which include van loading and unloading, packing, as well as furniture assembly. Leyton is now known as the area which hosted some parts of the Olympic park in 2012. In reality the district is exceptionally old as there was discovered a Roman cemetery. Nowadays it has both old buildings as well as new ones. Leyton Library is a representative of the former and the buildings around Brisbane Road of the latter. A vial part of Leyton is its football club. It is called Leyton Orient FC currently playing in Football League Two. 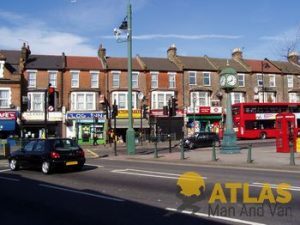 Leyton is set in the London Borough of Waltham Forest and most of the residential properties in it are terraced houses. The New Spitalfields Market is one of the largest and most popular markets that offer exotic fruit and vegetables and it is also situated on the territory of the district. It was established in the early-1990s and it includes more than 110 trading units. George Mitchel School is among the best secondary schools in the area. To Move to a Home Office or Not to Move? How to Protect Valuable Furniture During a Move?